Spinaclean are proud to announce the launch of the latest innovation in high level cleaning, the SkyVacTM Solo. The all in one system is designed to provide facilities managers with a portable machine that removes the need for separate generators – helping to reduce energy consumption. The new product features the world’s most powerful gutter cleaning system, SkyVacTM , and a reliable, long-lasting Honda power pack. SkyVac Solo offers a unique interlocking trolley system that releases the on-board power pack so that it can be used independently for onsite power, as well as making vehicle transportation easy. 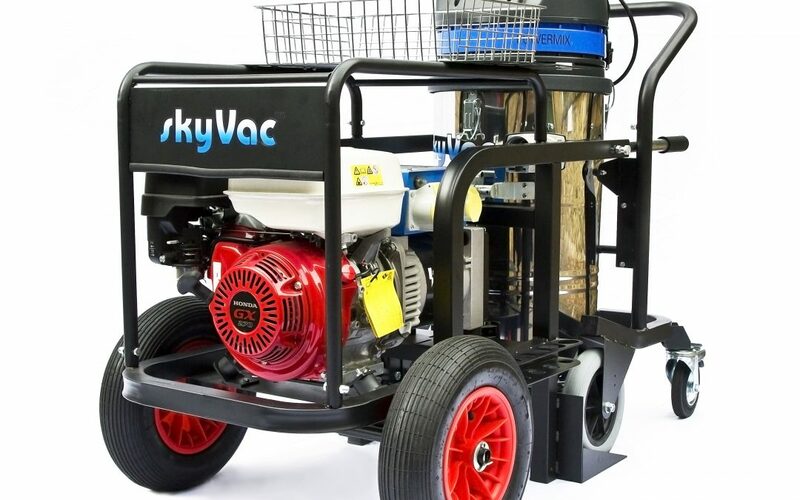 The system was designed with heavy-duty users in mind, and features the robust, tried and tested, SkyVac industrial chassis, a key start option and is equipped withon-board suction poles and accessory storage.